Being proactive is a valuable quality, particularly in the workplace. Perhaps you’re the kind of person who is always one step ahead on a project or always striving to turn in assignments far before the deadline. But are you as proactive about your health as you are about work? Being proactive about your health means taking action before problems arise. Much like your 401k, investing in your health is an investment in your future. Reaching an age where you’re beginning to face the health consequences of past mistakes? There are still many ways to look and feel younger from the inside out. 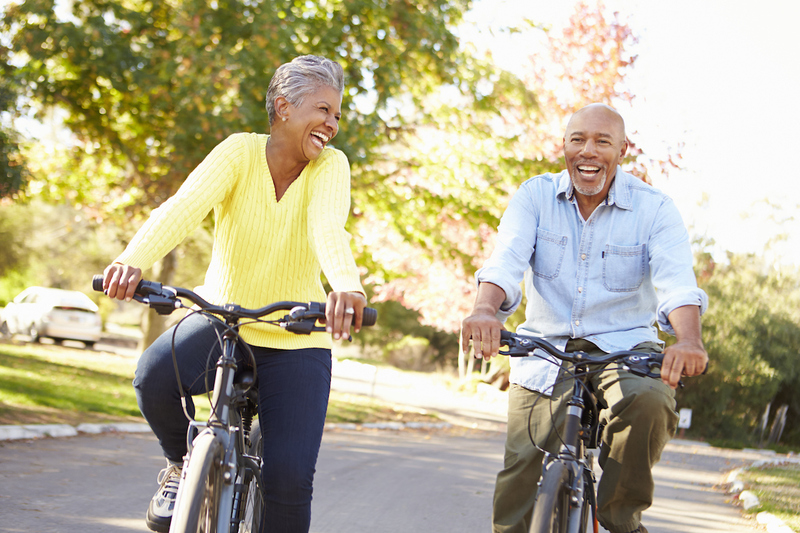 Here are some suggestions on how you can stay fresh and sharp as you age. Beyond the innumerable health risks, smoking has been shown to cause increased absenteeism from work and lower levels of productivity in smokers and those exposed to secondhand smoke. Consuming alcohol can negatively impact your physical and mental health. It can increase your risk of breast cancer and liver disease, while worsening a variety of health conditions like osteoporosis, diabetes, high blood pressure and ulcers. Excessive drinking can also put strain relationships and job performance. Sipping the occasional glass of wine with dinner or an after-work cocktail with coworkers is acceptable for most, but it’s important to monitor your alcohol consumption and enjoy in moderation. “I’ll sleep when I’m dead” may sound inspirational, but putting this idea into practice can prove disastrous to your health and wellbeing. Most adults need a minimum of 7 hours of sleep per night, but a recent Centers for Disease Control (CDC) study showed that more than a third of American adults are missing this mark. Not getting enough sleep can impair memory, attention, and decision-making – all vital skills for getting ahead at work and maintaining your cognitive health. Lack of sleep also increases your risk of developing a number of chronic conditions like type 2 diabetes, cardiovascular diseases, obesity and depression. It’s important to get plenty of vitamins and minerals, but calcium and vitamin D levels should be closely monitored – especially in women. According to the National Institutes of Health (NIH), women tend to have an earlier onset and faster rate of bone deterioration than men. In fact, women aged 50 years or older are four times more likely to have osteoporosis than men. One of the main ways to prevent osteoporosis is to consume adequate levels of calcium and vitamin D through a healthy, nutrient-rich diet. If you can’t get these nutrients naturally, take them in supplement form. Don’t wait until you’re 40 to start healthy habits. While it’s never too late to begin taking your health into consideration, it’s best to start young. The things you do now can have a big effect later. While it may be tempting to regularly indulge in happy hour or skip a few hours of sleep each night, it’s important to prioritize your wellbeing every day. After all, good health is priceless. Forming a trusting relationship with your primary care physician is one of the best ways to keep yourself in good health. Committing to annual check-ups helps you stay on top of any chronic conditions you might have and prevent the progression of new chronic illnesses. As we age, our health needs change. Having a strong partnership with your doctor will ensure that you don’t have to face these new challenges alone. Want to stay in tip-top shape as you age? Find a primary care provider that can help.